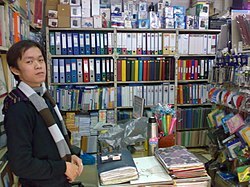 Inside a stationery supplier in Hanoi. The office supply industry was estimated to be worth US$225 billion in 1999 and is still growing. This page was last edited on 9 April 2019, at 11:11 (UTC).